Only a 100km from Thessaloniki and 13km from a small town of Aridea, there’s a village called Loutraki, whose hidden treasures are an exceptional sources of natural mineral water.You can enjoy taking a dive into incredible pocks of hot water, and alongside into the river too,or to relax in the kind of (by nature) formed baths.There are also a privately owned baths, so that no one disturbs you in those precious moments of relaxing. The area also provides opportunities for long walks into the nature and a very good cuisine. 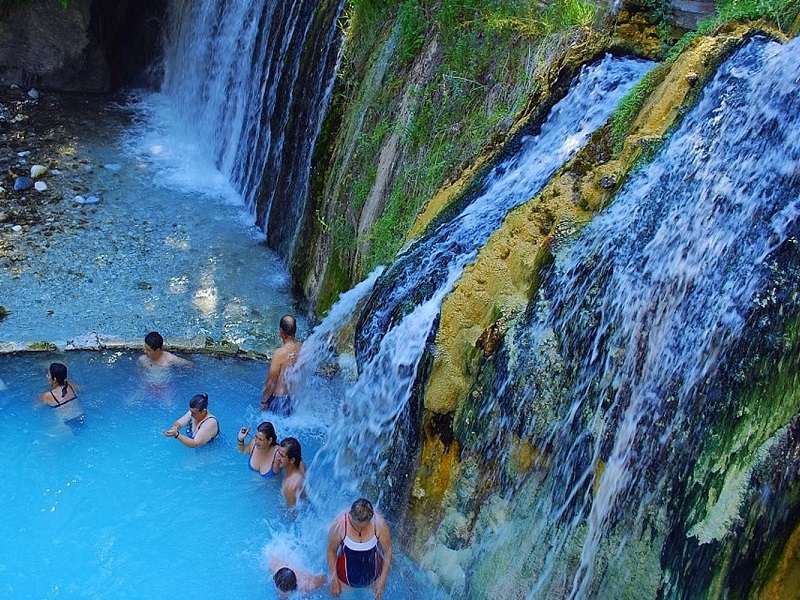 Prices that concidere baths are more than reasonable, and thats why Pozar is a great weekend destination.